Nigel Farage has withdrawn his resignation as leader of UKIP, initially tendered as pledged after losing his election bid for the South Thanet constituency on Thursday. Friday: "Nigel Farage says he is 'a man of my word' as he resigns". Today: We learn not so much. “The NEC also concluded that UKIP’s general election campaign had been a great success,” Crowther added. “We have fought a positive campaign with a very good manifesto and despite relentless, negative attacks and an astonishing last minute swing to the Conservatives over fear of the SNP, that in these circumstances, 4 million votes was an extraordinary achievement,” he added. Therefore, Nigel Farage withdrew his resignation “and will remain leader of UKIP,” Crowther added. “He has therefore been persuaded by the NEC to withdraw his resignation and remains leader of UKIP,” Crowther confirms. “I think his holiday will be put on hold,” the UKIP spokesperson added. Nigel Farage will resume his position as UKIP party leader immediately. 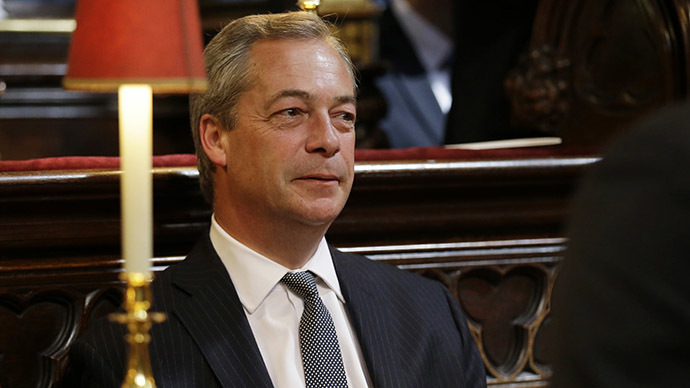 Farage tendered his resignation after failing to secure his target seat of South Thanet in Kent, south east England. He came in second place with 16,026 votes (32 percent), losing to the Conservative candidate Craig Mackinlay with 18,838 votes (38 percent).